What does it feel like to be forced to turn to foodbanks for help? What does it take to get emergency food, and what's in the food parcel? Anna and her 11 year old daughter Daisy are eating out of date food since Anna had to leave her job due to mental health problems. Glen speaks of the shame he feels using the foodbank having taken on a zero hours contract. 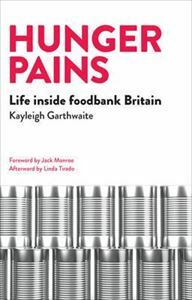 This is a powerful insight into the harsh reality of foodbank use from the inside. Breakthrough to Unity aims to induct seekers into the mystical tradition through understanding and practice.